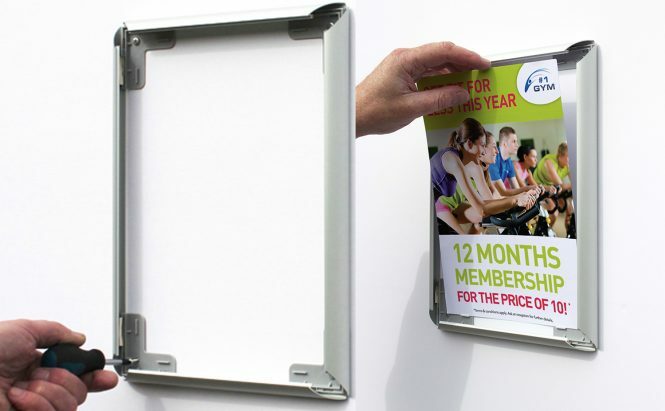 Our Snap Frames are a great way to display posters and signage in a neat uncluttered frame. 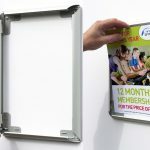 The four sides of the frame flip open with a snap action to enable prints or posters to be inserted quickly behind the anti glare cover. 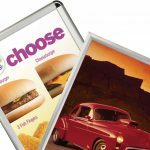 Available in a variety of sizes and frame widths, everything is included to create stylish, simple signage – even concealed wall fixings. 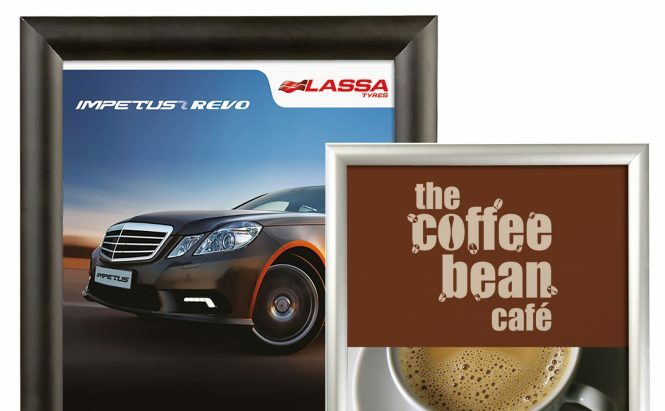 Standard frames come with a Silver Anodised finish, however we also offer a bespoke coloured frame option with 74 RAL colours and over 20 BS 4800 colours available. This services is offered in a range of frame profiles within the standard, security and lockable styles. Minimum order quantity may apply in some cases, please contact for further details. Profiles are available in 15mm, 25mm, 32mm, 37mm and 38mm and come in sizes A4, A3, A2, A1, and 20″ x 30″. 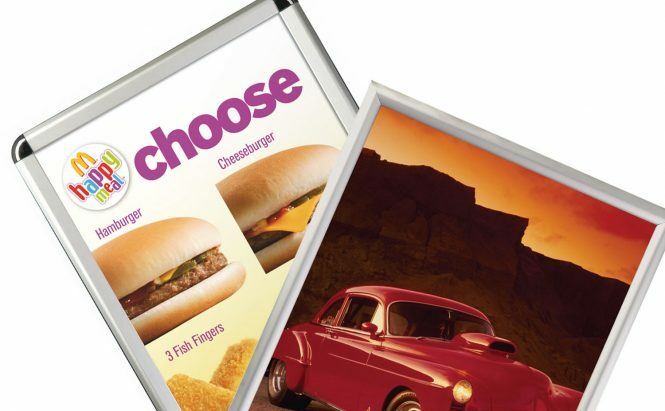 We also offer made to order sizes in A0, 30″ x 40″, 40″ x 60″. ‘Security by intelligence’ – when closed all fixings and opening methods are hidden from view. Silver anodised finish as standard (unless otherwise stated). Pre-drilled and individually boxed with screws and wall plugs. White or grey plastic back panels depending on size/style. 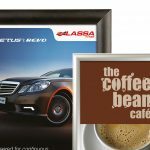 Note: Poster cover sheets are not fixed and in high winds can become dislodged, wider frame profiles provide better poster security.